Even without the help of El Nino, 2017 was a top-three scorcher for planet Earth. 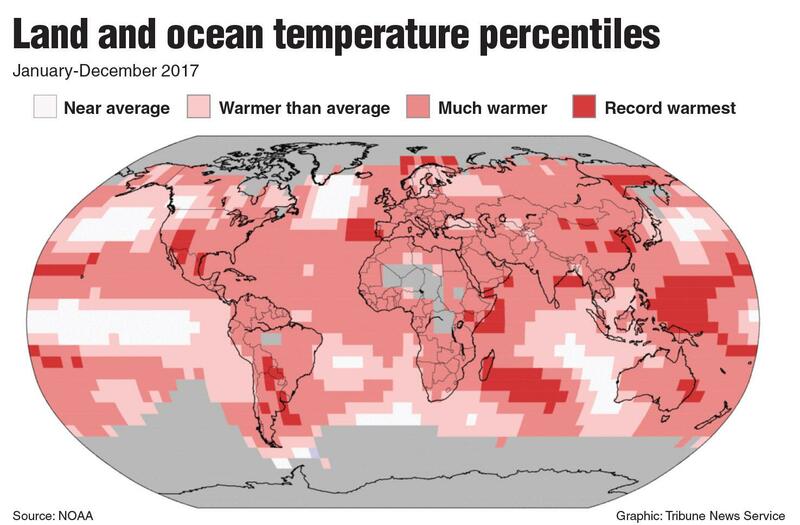 Global temperatures last year were the third-highest since scientists began keeping records in 1880, according to data from the National Oceanic and Atmospheric Administration. Measurements from NASA placed it even higher, coming in second over the last 138 years.